On May 13, Glenn Greenwald published his book 'No Place To Hide' about the Snowden-disclosures. It doesn't contain substantial new revelations, but from one of the original documents in it we can determine that NSA's largest cable tapping program is codenamed DANCINGOASIS, something which was not reported on earlier. Here we will combine information from a number of other documents and sources to create a somewhat more complete picture of the DANCINGOASIS program. 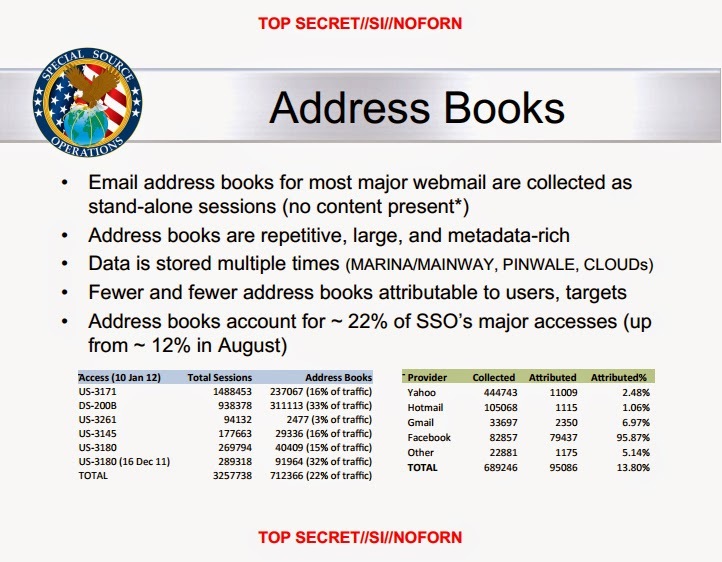 In Greenwald's book and on his website, the following chart from NSA's BOUNDLESSINFORMANT tool was published. 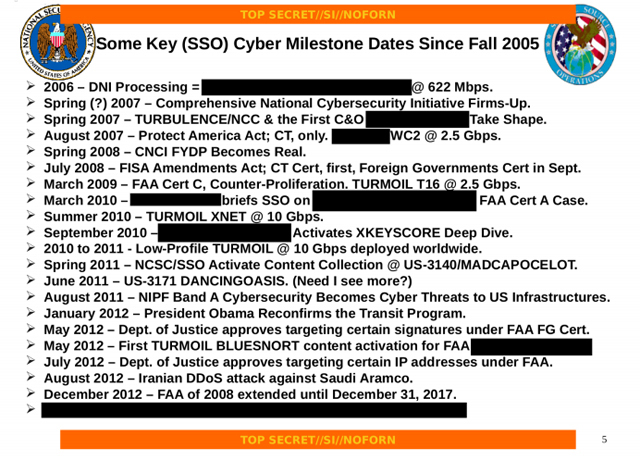 Although these charts are not always easy to interpret, we can rather safely assume that this one gives the overview for NSA's Special Source Operations (SSO) division, which is responsible for collecting data from major telephony and internet cables and switches. In the "Most Volume" section we see that the program which collects most data is identified by the SIGINT Activity Designator (SIGAD) US-3171, a facility that is also known under the codename DANCINGOASIS, which is sometimes abbreviated as DGO. During the one month period covered by the chart, this program collected 57.7 billion data records, which is more than twice as much as the program that is second: US-3180, which is codenamed SPINNERET. Third is US-3145 or MOONLIGHTPATH and fourth DS-300 or INCENSER. This chart will be analysed in general in a separate article. Previously it seemed that it was INCENSER that collected the biggest number of data. 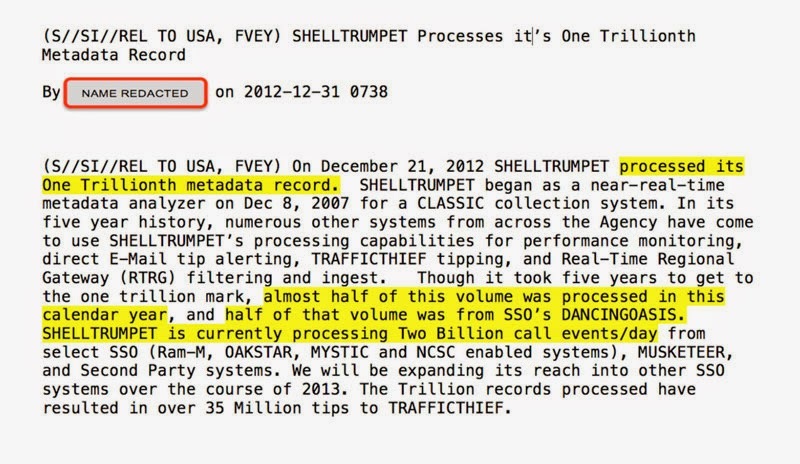 A BOUNDLESSINFORMANT chart published in November 2013 said that this program gathered some 14 billion metadata a month. Now we know that DANCINGOASIS is collecting almost 4 times as much: more than 57 billion records each month, or 684 billion every year. Comparing some numbers learns us that DANCINGOASIS (57 bln.) accounts for more than a third of everything the SSO division collects (160 bln.). It is also far more than what is collected under FAIRVIEW (6 bln. ), which is one of the big domestic cable tapping programs that NSA operates in cooperation with US telecom providers. Comparing DANCINGOASIS with the total number of data that is collected worldwide during one month early 2013 (221 bln. ), as presented in the BOUNDLESSINFORMANT heat map, we see that DANCINGOASIS alone seems to account for almost a quarter of the entire NSA data collection. Given this large share, it could be that DANCINGOASIS is an umbrella program which encompasses various smaller sub-programs. However, DANCINGOASIS is different from MYSTIC, which is an umbrella program containing facilities that monitor at least five entire countries, as was revealed recently by The Intercept. The part of MYSTIC that stores all phone calls of two countries, codenamed SOMALGET, processes only about 3 billion telephony metadata every month. Strangely enough we haven't (yet) read about DANCINGOASIS in media reports, nor in the book of Glenn Greenwald, and also we haven't seen any slides or documents that specifically deal with this program. On July 9, 2014, Glenn Greenwald indicated on Reddit, that it was part of the agreement with Snowden not to publish anything about Afghanistan and other military operations, so this might be the reason why Greenwald didn't publish anything about DANCINGOASIS. It is not clarified what kind of targets DANCINGOASIS collection is used for, but given the enormous amounts of data (57 billion), it has to be from top priority countries from the Middle East. According to the BOUNDLESSINFORMANT heat map, NSA collected more than 27 billion data a month from Pakistan, 24 billion from Afghanistan, 15 billion from Iran and 13 billion from Jordan - all countries that are along the fiber optic cables between Europe and the Far East. Such a huge collection of communications inevitably comes with data that are useless, like for example address books from e-mail accounts that are not related to target persons. 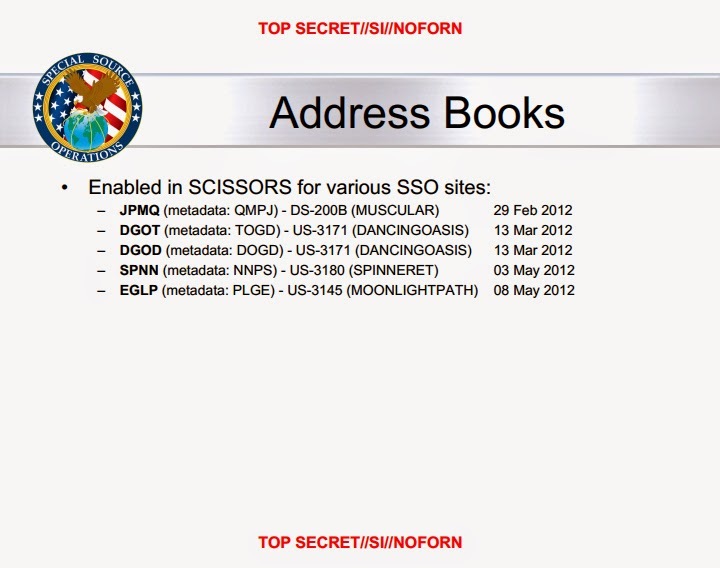 Because the number of these address books grew steadily, NSA started to block these from being ingested by installing the SCISSORS selection system. The slide on the right shows two codes associated with content collected under DANCINGOASIS: DGOT and DGOD. Similar codes for metadata are written reverse: TOGD and DOGD respectively. The systems which are used to process the data from DANCINGOASIS are listed in the "Top 5 Tech" section of the SSO chart. Of the four most important systems, three are used for processing internet data: XKEYSCORE (42 bln. ), TURMOIL (23 bln.) and FALLOUT (12 bln. ), with LOPERS (41 bln.) being a system for processing data derived from telephone networks. - Or a mix of internet and telephony data, which are processed partly by the internet processing systems and partly by LOPERS. Clarity about this can only be provided by the yet unpublished BOUNDLESSINFORMANT chart about the DANCINGOASIS specifically, but the fact that data from this collection facility end up in two separate databases (see below) could indicate that one receives internet data and another telephone communications. The cable intercepted by DANCINGOASIS transfers 25 petabyte of communications data each day. Between 3 and 6 petabyte of them are being scanned by NSA computers. These systems search the data for keywords that are determined by NSA's targeting offices and are derived from the topics in the Strategic Mission List (pdf) and the National Intelligence Priorities Framework, as approved by the White House. This means that 175 gigabyte of data is stored daily, which is 0,000007% of the 25 petabyte that is transmitted by the cable. The 175 gigabyte makes 5,2 terabyte a month and 63 terabyte a year. Whether the 57,7 billion records collected under DANCINGOASIS also equal 5,2 terabyte of digital storage space seems a bit questionable however. The book doesn't provide the names of the databases, so probably it aren't the known ones like PINWALE, MAINWAY and MARINA. Therefore, the data from DANCINGOASIS might be stored in the NSA's new cloud systems, the names of which NSA likes to keep secret for some reason or another. 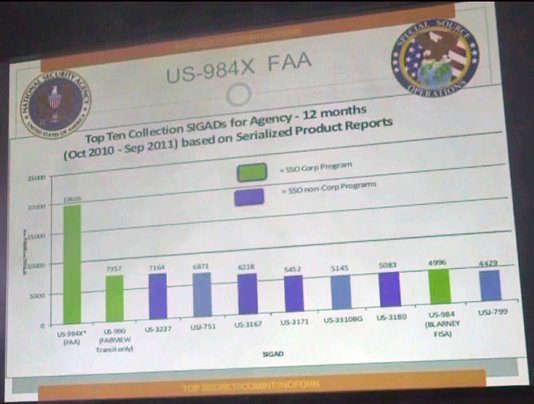 Because of similar capacity limits across a range of collection programs, the NSA is leaping forward with cloud-based collection systems and a huge new "mission data repository" in Utah. A system that collects a huge amount of data does not automatically contribute to equal numbers of intelligence reports. We can see this in a slide about results from NSA's Upstream collection during the fiscal year 2010/2011. With a blue bar, DANCINGOASIS is listed as a "SSO Non-Corporate Program", which means the collection is done without cooperation of a commercial telecommunications company. Although this does not exclude foreign government or foreign partner agency cooperation, it's remarkable that NSA is able to collect these huge amounts of data from a fiber optic cable without the help of the operating companies. 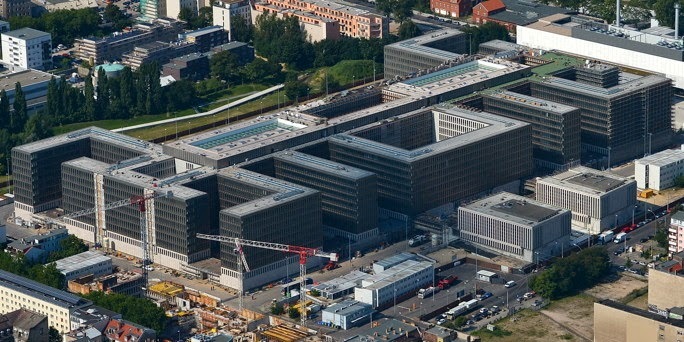 The German foreign intelligence service Bundesnachrichtendienst (BND) is moving to a brand new headquarters in Berlin. Here we show some unique pictures from inside the former headquarters in the village of Pullach and also give an impression of what the new building looks like. 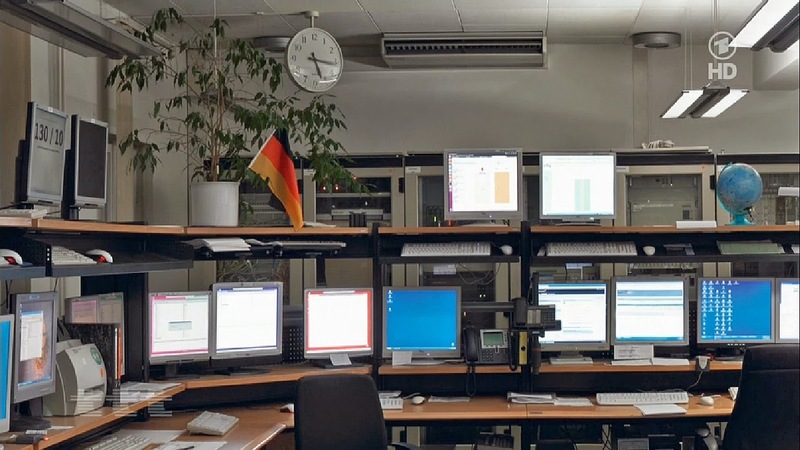 Unlike for example the United States and the United Kingdom, Germany has no separate agency for collecting Signals Intelligence (SIGINT) - this is done by the BND, and as such this agency is a 3rd Party partner of NSA since 1962 and also participates in the SIGINT Seniors Europe or 14-Eyes group. 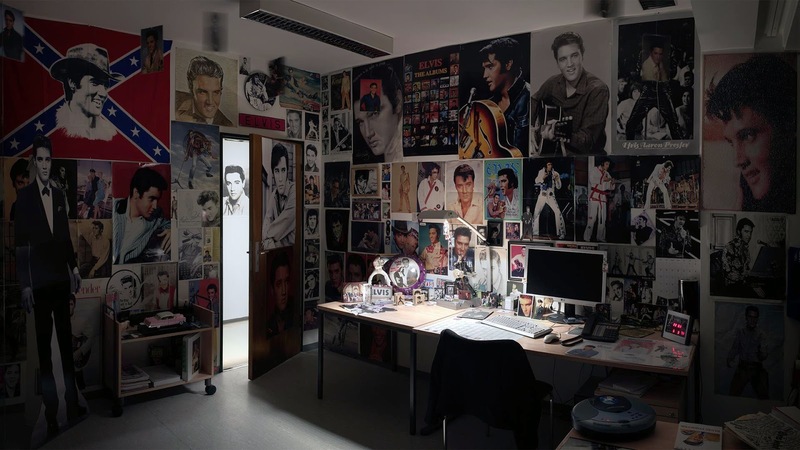 As a farewell to this old headquarters, the German photographer Martin Schlüter was allowed to take pictures of almost every corner of the complex, but only at night, when there were no employees present. His pictures now available in a book called "Nachts schlafen die Spione" (at night the spies are sleeping), published by the Sieveking Verlag. Pictures from the book were shown in the German television magazine TTT - Titel, Thesen, Temperamente, which made it possible to take the following screenshots of those that show some of the telecommunications equipment used by the BND (click the pictures to enlarge). We see that every monitor has its own keyboard and mouse, which seems not very practical. 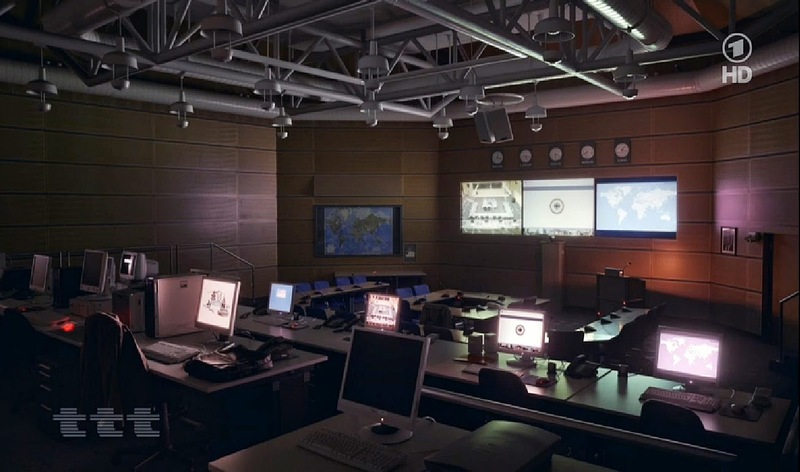 In the US for example, military and intelligence agencies use so-called KVM-switches, which allows users to work on multiple computers and/or terminals of physically separated networks with just one keyboard, video screen and mouse. Content without such a border is apparently unclassified. 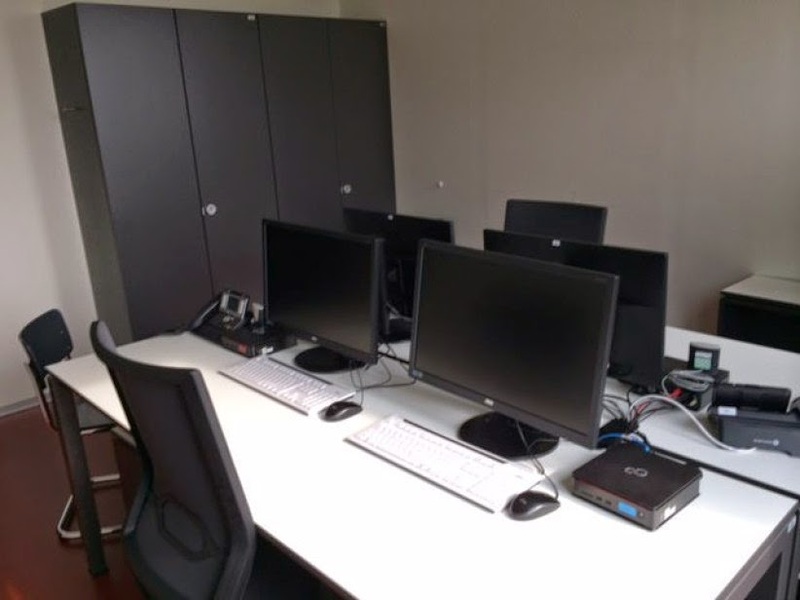 In the center we see two telephones: at the left a Cisco Unified IP Phone 7961 and at the right a rather common looking but yet unidentified office telephone, which can be seen in the other pictures too. The Cisco phone is for a Voice over IP (VoIP) network, where the other one is probably part of a traditional Private Branch eXchange (PBX) internal telephone system. In these pictures we see no secure telephones, ones that are capable of encrypting calls by themself, like the ELCRODAT 5-4, made by the German manufacturer Rohde & Schwarz. Probably BND uses network encryptors to secure the calls before they leave the internal network. The new BND headquarters is a huge office building at the Chausseestraße in the centre of Berlin. The construction started in 2006 and the overall costs for the building and moving the inventory of some 6000 employees are estimated at 1,3 billion Euro. The architecture expert Niklas Maak points to a striking difference between the former and the new headquarters: in the past, the enemy was known, the communists from the Warsaw Pact, it was known where they came from, and hence the intelligence agency was hidden in the Bavarian woods. 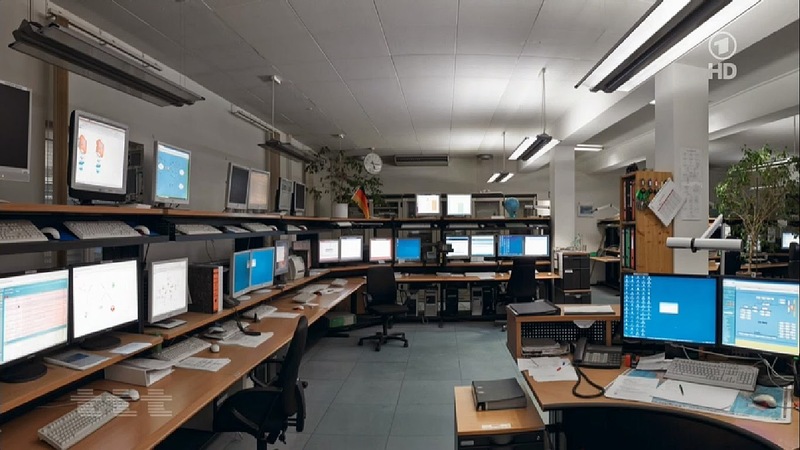 Nowadays, enemies like terrorists and hackers are unvisible and could be everywhere, but the BND is now as visible as it can be, almost as to scare them off. There are two wide-screen monitors, each one with its own keybord and mouse connected to a computer device. Apparently the BND still doesn't want to use KVM switches. Initially, the computer devices looked like thin clients, which just create a virtual desktop environment. All files are stored at centralized servers, which also makes it more easy to control and limit the access to sensitive and secret documents. But later, a reader recognized them as being Fujitsu ESPRIMO Q910 mini PC's, which are small but fully equipped personal computers. They also have usb-ports, which would allow to connect thumb drives to them. The telephone on the desk is a Alcatel-Lucent 4068 IP Phone or a similar model, which is a high end full-featured office telephone for Voice over IP networks. Alcatel was a major French telecommunications company which merged with the American telephone manufacturer Lucent Technologies in 2006. It seems somewhat strange for an intelligence agency to use telephones that are made by a foreign company, as for example the German company Siemens manufactures telephony equipment for almost a century.